Exciting news, Vuly fans! 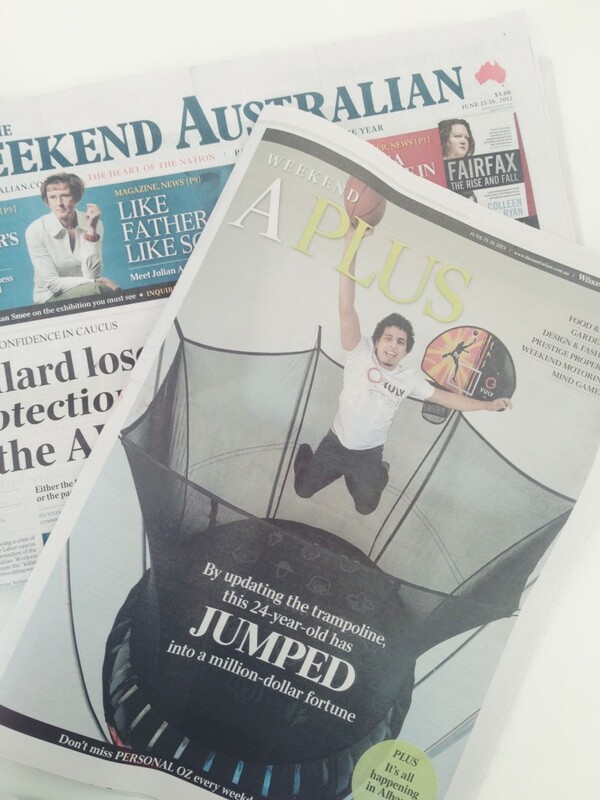 Be sure to keep your eyes peeled for the weekend edition of The Australian tomorrow morning! Vuly have a feature article in the A-Plus section that you should definitely check out for everything about Vuly as a company, Vuly going international and Vuly Thunder! Vuly is named after Vulcan, the Roman god of fire! 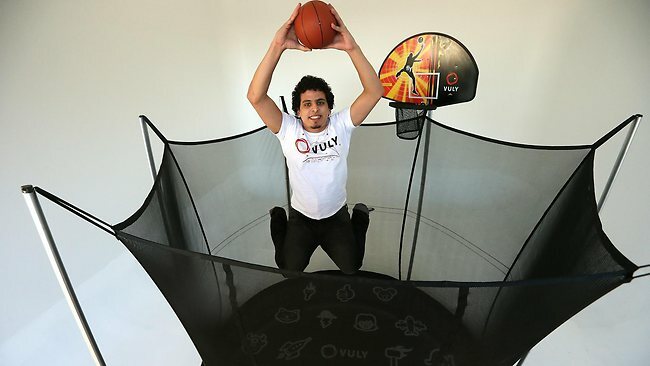 Compared as similar to the Dyson vacuum cleaner and Apple's iPhone, Thunder will be a revolution in the world of trampolines. Joe started out from his home with just his savings and a $10, 000 from his Dad. We collaborated with the designers of the Mount Franklin water bottle and Football Fed's trophy to bring you a beautiful trampoline with no nuts and bolts! Thunder's super safe Leafspring system reduces the risk of concussion. Vuly is expanding internationally with Toys R Us into Britain, the US, Dubai and beyond! This will allow our trampoline products to be available worldwide! Check out our Vuly Press Page for more feature news articles!